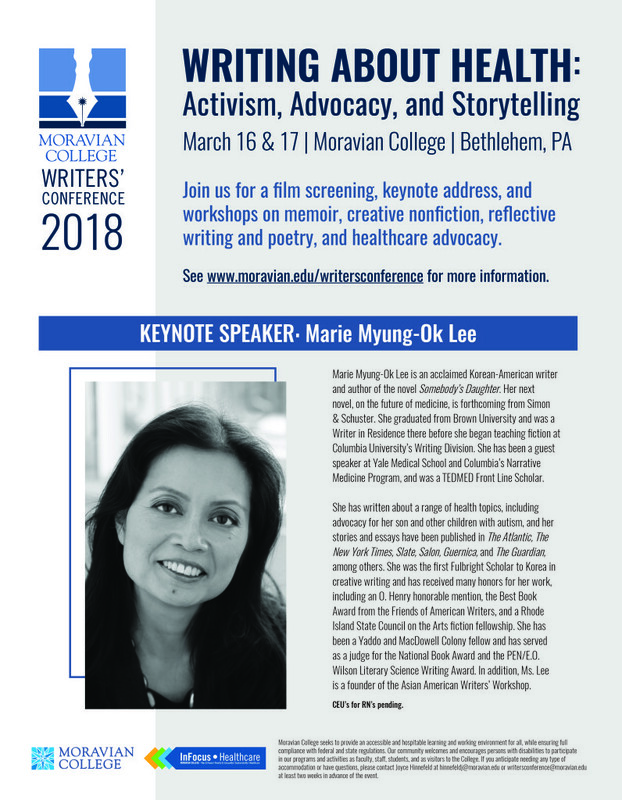 I am so pleased to share that I will again be a workshop presenter at the Moravian College Writers’ Conference, March 16-17, 2018. Please mark your calendars to join me and other talented writers for an inspiring day of literary art! This year’s theme is Writing about Health: Activism, Advocacy, and Storytelling, and will include workshops, craft sessions, and readings with a focus on health and healthcare. The featured Keynote Speaker will be acclaimed Korean-American writer Marie Myung-Ok Lee, author of Somebody’s Daughter, who has written on a variety of health topics, including advocacy for her son and others on the autism spectrum. Her new novel on the future of medicine is forthcoming from Simon & Schuster. Water is the most abundant molecule in our cells, accounting for roughly 70% of total cell mass. And given the permeability of our cell membranes, what’s in our water often ends up in our cells — making water pollution issues a matter of personal and public health. But while writing about the science behind these fluid boundaries is essential, it isn’t always effective in exerting positive change in environmental health policy. As Rachel Carson revealed with the public response to Silent Spring, people are more often moved by stories that engage their memories and emotions. In the literary world, we often talk about “writing from the bones,” or “writing what we know on a cellular level.” This personal narrative —stories grounded in memory and emotion— will be the focus of our time together. In this workshop, we will examine the work of writers and scholars such as Sandra Steingraber, Rebecca Altman, Kristen Iversen, and others to learn how they have woven both science AND the self into their environmental health literature. We will study their methods and then embark on our own cellular compositions, using targeted writing exercises to generate strands of personal history to weave into our own environmental health stories.